In the summer of 2010 I entered a number of “cover crop” radishes into research plots in Michigan and Minnesota. Some of the products I entered were given to me from a supplier in Oregon. 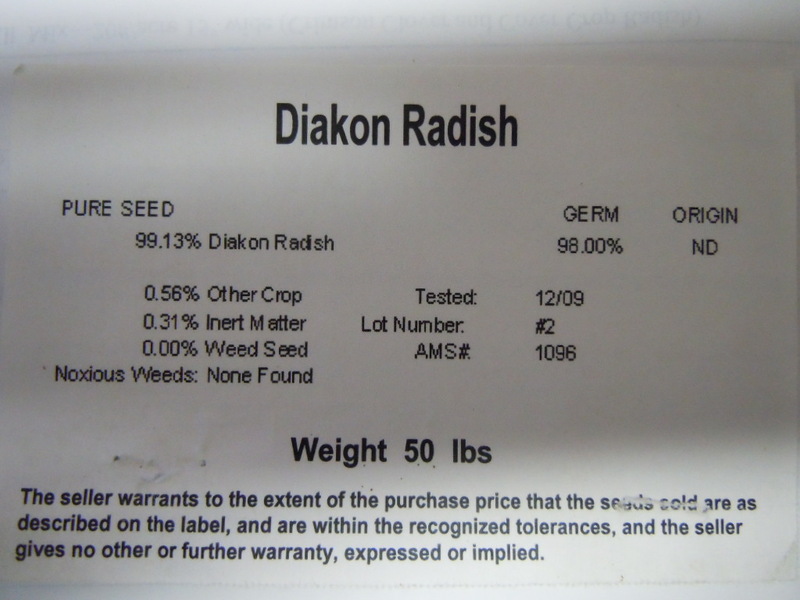 They had collected seed samples from Europe that had been touted as cover crop worthy. They weren’t. Fortunately those varieties never hit the US market – that I am aware of. I also entered two other radishes that actually performed very well. What we found is that not all cover crop radishes are created equal. While many of the top selling radishes grew the way you would hope, there were some that did not perform well at all. Here’s what I mean: The “lesser performers” either bolted and went to seed production early, or they had very small tubers, or both. Now in the summer of 2011 we have planted new plots in MI and MN along with some plots in my garden “agronomy plot” in Winona Lake, IN (NE IN). I planted my plots WAY too thick as it was very dry and I was hoping to get emergence. I watered two times after planting the plot and that helped quite a bit. Over the last week we received nearly 5 inches of rain, so I have a very thick, robust radish stand. What I am seeing after 6+ weeks of growth is interesting. 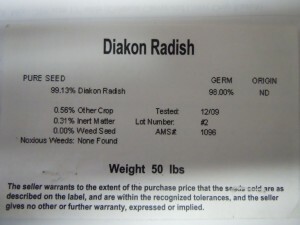 I purposely planted the “wild looking radish” (“VNS Daikon Radish” on the tag) that was sold out of North Dakota in the summer of 2010 so I could compare it to Oregon grown VNS Radish. I included two named products, GroundHog and SoilBuster (a mixture of two varieties) in the plot as well. On the GroundHog I entered seed from two different years 2009 and 2010 to check for consistency (GroundHog is actually a true single variety of radish). VNS stand for "Variety Not Stated" and in some cases "Buyer Beware." 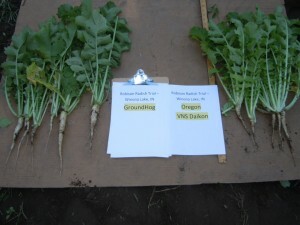 The Oregon grown VNS Daikon Radish is a far superior radish for cover crops than the VNS Daikon Radish from North Dakota. The GroundHog from both seed crop years look the same (green top on tuber, similar tuber type and size). The Oregon grown “VNS Daikon Radish” is far better than the North Dakota grown “VNS Daikon Radish” (seed purchased from the Pulse Group). 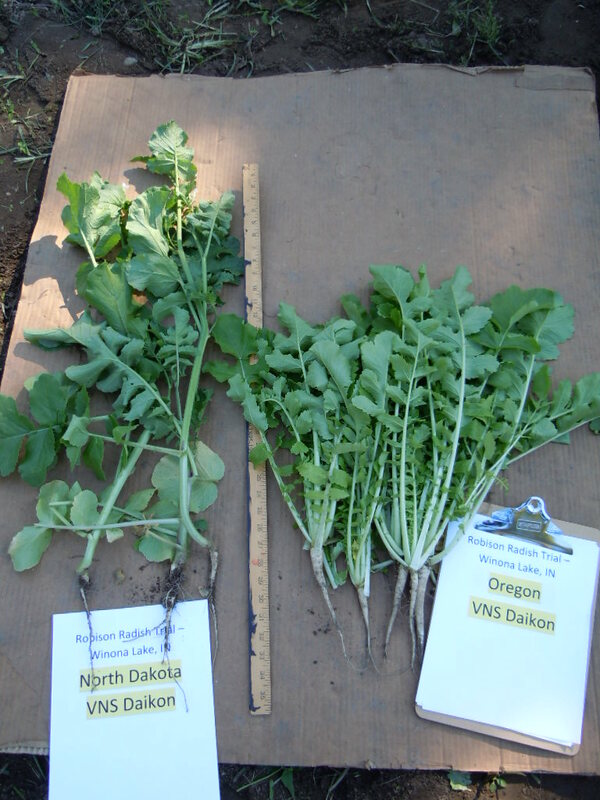 The North Dakota grown “VNS Daikon Radish” looks like it did in 2010 – already bolting (it started bolting at 4 weeks) and very little root. The Oregon Grown “VNS Daikon Radish” has shorter top growth than both GroundHog and SoilBuster. The Oregon Grown “VNS Daikon Radish” has smaller tubers than both GroundHog and SoilBuster. GroundHog had more top growth than SoilBuster. The two named radishes (that are actually varieties) seem to actually show more “value” (more top growth and larger tubers) than either of the VNS products. What does that mean to producers? That maybe the few extra dollars you pay per acre is actually money well spent. Both named products showed larger tubers and more top growth than the Oregon Grown VNS Daikon Radishes. The tag from the North Dakota VNS Radish. Notice the "ND" under origin in the upper right. Click on the image to make it larger. 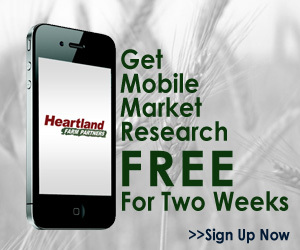 ← Cover Crops aerial applied into soybeans and corn…any difference in emergence time? Keep an eye out on the top growth. by 10 days than the others. Hey Gary! My plots seem to change by the week. I’ll keep my eyes on all of the products and get a report on the blog.